UPDATE: Tonight neighbors told WTSP.com that Jadiel was “moving around” in the hospital and “ready to get up and run around.” Those who know the family also say the tubes were removed from the baby’s mouth. Though some areas of the country are still dealing with cold temperatures, there are other parts of the country, like Florida, that are already seeing temperatures up into the 90’s and above. 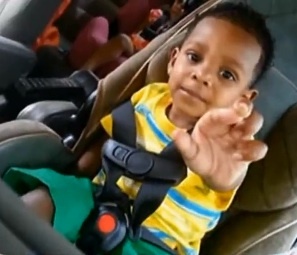 And it was in Florida where 23-month-old Jadiel Rosario spent eight hours, strapped into his car seat, unattended. Now in critical condition in a local hospital, the little boy’s parents, Douceaymee Alvarez and Alexander Rosario, are holding vigil by his side, hoping for the best. According to the Hillsborough Sherrif’s Office, the parents are known for keeping late hours; they had returned to their Tampa home at 4 a.m. on Tuesday morning. Their three other children were unloaded from the car, one by one. But when it came time to unload little Jadiel, the mother said that she thought the father had him, and the father said he thought the mother had him. Unfortunately, neither one of them did. Jadiel then spent the rest of the morning strapped into his car seat. His siblings, who are old enough to go to school, left home that morning. They’d walked right past their little brother, not even noticing him. The parents continued to sleep. And because Jadiel is known to “sleep until noon,” according to his parents, it took until sometime later in the day before his parents even realized that he wasn’t in the house. According to a physician that spoke with 10 News, the nineties temperatures outside would have made the car over 110 degrees inside. The time it would take to reach that temperature? Less than ten minutes. As Jadiel’s parents wait and hope for the best, the public is outraged after hearing that neither parent will face charges for leaving their little boy in the car. And, based on what Sharon saw the next day, when Jadiel was finally discovered, it would certainly seem that Sharon’s assessment of the situation is correct. 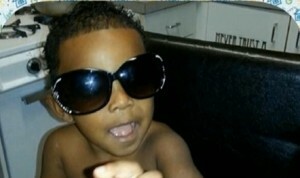 She reported that, when she walked though the door and saw Jadiel lying on the couch, his father was administering CPR. I believe it’s easy to get angry when a little child is injured, hurt, or in danger. And when it’s a parent’s mistake that has placed the child in that situation…well, it’s not hard to see why we get angry with the parents. After all, we’re supposed to protect our children, care for them, make sure that no ill harm comes to them. But before you get angry, before you judge, think back to a time when your heart literally stopped inside your chest. Maybe it was losing sight of your child in the store, even if only for a second. Maybe it was a time that your child decided he or she was a superhero and had bounded off the back of the couch or table, landing squarely on his or her head. Reality is, accidents do happen. Some are more threatening than others. Most of the time we catch the mistake fast enough that nothing serious happens. But sometimes – as in the case with falling furniture, burns from the stovetop, medicine and chemical ingestion, cord blinds, electrical outlets, and yes, even hot cars….we just don’t catch it fast enough. While most the rewarding job in the entire world, is also the most difficult. Maybe it’s time that we remember that all parents are human, and we are going to make mistakes – all of us. I can’t even imagine what these parents are going through – the guilt, the fear, the worry that their little boy won’t ever wake up, or that he’ll be damaged forever. Rather than judging these parents who are living with the heavy consequences of their mistake, I feel we should reach out and provide comfort, sympathy, and well wishes. We should want to comfort their aching hearts as they await the long-term results of a mistake I am beyond certain they wish they could take back and do over. What do you think? Do you feel that Jadiel’s parents should face charges or do you feel that these distraught parents deserve prayers and sympathies? Have you ever had a moment where you’ve made a mistake that could have had serious consequences?